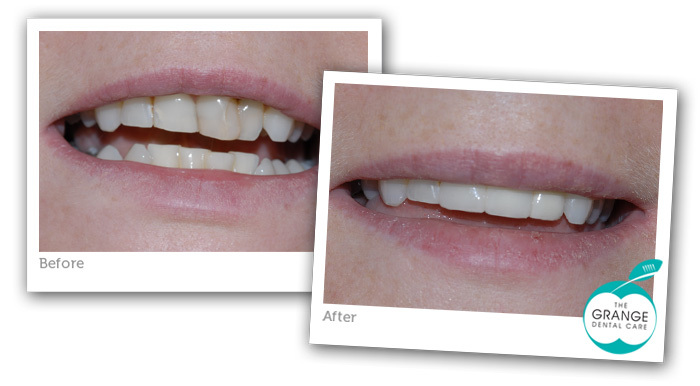 (Before) This lady attended unhappy with appearance of front teeth. She did not like the colour of them, how one sat in a little and how the edges were uneven. She wanted us to only work at 3 teeth. (After) We whitened her teeth and improved her oral hygiene and periodontal condition with some hygiene visits and then made some non metal crowns for the 3 teeth designing them so that it masked the overlap.